Intercultural compentece means the ability to interact effectively and apprpriately with members of other cultures. 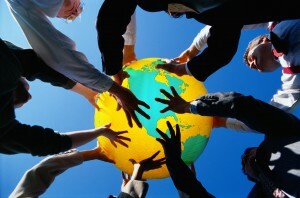 Today living and working take place in multicultural environments. Intial contacts are often characterised by contradictory emotions such as mistrust, fear as well as curiosity and positive expectations. Therefore, intercultural compentece skills are crucial in order to react sensitively in uncertain situations. My workshops offer a broad spectrum of learning strategies ( e.g. role-play, practical ecercises, simulating situations, case studies and video work) The aim is to effectly increase learning outcome as well as having fun!